Francis Dennis was born in 1680 in Mildenhall, England and died on 22 Feb 1710 in Mildenhall, England at age 30. Francis married Mary Morley on 13 Jan 1692 in St Olave, Bermondsey, Surrey, England. Mary was born in 1680 and died on 29 Apr 1729 in Mildenhall, England at age 49. They had a son: Richard. 2-Richard Dennis was born on 7 Sep 1701 in Mildenhall, England and died on 11 Dec 1738 in Mildenhall, England at age 37. Richard married Sarah Howlett on 8 Oct 1722 in Mildenhall, England. Sarah was born in 1701 and died in Nov 1758 in Cambridgeshire (now Norfolk) England at age 57. They had a son: Nathaniel. 3-Nathaniel Dennis was born on 17 Sep 1731 in Mildenhall, England and died in 1804 in Worlington, Suffolk, England at age 73. Nathaniel married Elizabeth Turner on 26 Aug 1765 in Eriswell, Suffolk, England. Elizabeth was born in 1741 in Eriswell, Suffolk, England and died on 19 Sep 1811 in Worlington, Suffolk, England at age 70. They had a son: Richard. 4-Richard Dennis was born on 1 Mar 1772 in Eriswell, Suffolk, England and died on 5 Dec 1850 in Eriswell, Suffolk, England at age 78. Richard married Elizabeth Presland on 13 Oct 1794 in Eriswell, Suffolk, England. Elizabeth was born in 1868 in Suffolk, England and died in 1850 in England at age -18. They had eight children: William, John, Mary Ann, Martha, George, Jemima, James and William. 5-William Dennis was born on 29 Jan 1797 in Eriswell, Suffolk, England. William married Phoebe Miller in 1816 in Mildenhall, Suffolk, England. They had seven children: William, John, James, Mary Ann, Hannah, Anne and Martha. 6-William Miller was born in 1816 in Mildenhall, Suffolk, England. 6-John Dennis was born in 1818 in Mildenhall, Suffolk, England. John married Caroline Heffer in 1846 in Mildenhall, Suffolk, England. Caroline was born in 1821 in Mildenhall, Suffolk, England. They had eight children: James, William, Emma, Mary, Thomas, John, Frank and Ann. 7-James Dennis was born in 1841 in Mildenhall, Suffolk, England. 7-William Dennis was born in 1844 in Mildenhall, Suffolk, England. 7-Emma Dennis was born in 1846 in Mildenhall, Suffolk, England. 7-Mary Dennis was born in 1850 in Mildenhall, Suffolk, England. 7-Thomas Dennis was born in 1853 in Mildenhall, Suffolk, England. 7-John Dennis was born in 1856 in Mildenhall, Suffolk, England. 7-Frank Dennis was born in 1859 in Mildenhall, Suffolk, England. 7-Ann Dennis was born in 1861 in Mildenhall, Suffolk, England. 6-James Dennis was born in 1820 in Mildenhall, Suffolk, England. 6-Mary Ann Dennis was born in 1822 in Mildenhall, Suffolk, England. 6-Hannah Dennis was born in 1824 in Mildenhall, Suffolk, England. 6-Anne Dennis was born in 1828 in Mildenhall, Suffolk, England. 6-Martha Dennis was born in 1832 in Mildenhall, Suffolk, England. 5-John Dennis was born on 26 Aug 1798 in Eriswell, Suffolk, England and died in 1849 in Suffolk, England at age 51. John married Ann Harding. Ann was born in 1799 in Eriswell, Suffolk, England. They had five children: William, George, Marriane, Elizabeth and Michael. 6-William Dennis was born in 1822. William married Caroline. Caroline was born in 1821. They had eight children: James, Chas, Emma, Mary, Thomas, John, Frank and Ann. 7-James Dennis was born in 1841. 7-Chas Dennis was born in 1844. 7-Emma Dennis was born in 1846. 7-Mary Dennis was born in 1850. 7-Thomas Dennis was born in 1853. 7-John Dennis was born in 1856. 7-Frank Dennis was born in 1859. 7-Ann Dennis was born in 1861. 6-George Dennis was born in 1824. 6-Marriane Dennis was born in 1829. 6-Elizabeth Dennis was born in 1830. 6-Michael Dennis was born in 1835 in Eriswell, Suffolk, England. 5-Mary Ann Dennis was born on 10 Aug 1800 in Eriswell, Suffolk, England. 5-Martha Dennis was born in 1803 in Eriswell, Suffolk, England and was christened on 29 May 1803. Martha married William Taylor on 5 Sep 1821 in Eriswell, Suffolk, England. William was born about 1798 in Cambridgeshire (now Norfolk) England. 5-George Dennis was born on 4 Aug 1805 in Eriswell, Suffolk, England, was christened on 4 Aug 1805 in Eriswell, Suffolk, England, and died on 2 Sep 1855 in Eriswell, Suffolk, England at age 50. George married Melinda Shenn on 22 Feb 1829 in Eriswell, Suffolk, England. Melinda was born about 1808 in Mildenhall, Suffolk, England. They had 15 children: Mary, William, Isaac, James, George, Eliza, Sarah, Henry, John, Sarah, Robert, Richard, Emma, James and Elizabeth. 6-Mary Dennis was born in 1829. 6-William Dennis was born on 15 Sep 1830 in Eriswell, Suffolk, England, was christened on 24 Oct 1830 in Eriswell, Suffolk, England, died on 15 Dec 1910 in Perth at age 80, and was buried in Perth General Cemetery, Perth, Tasmania, Australia. He emigrated to Tasmania on the Whirlwind departing Plymouth 4 Jan 1855 and arriving Launceston 2 April 1855. William married Sophia Peachey, daughter of Richard Peachey and Sophia Burgess, on 22 Sep 1851 in Mildenhall, Suffolk, England. Sophia was born in 1831 in Lakenheath, Mildenhall, Suffolk, England, died in 1907 in Perth at age 76, and was buried in Perth General Cemetery, Perth, Tasmania, Australia. They had 11 children: Sophia, William, Isaac, George, Sarah Sophia, John, Martha Melinda, Richard Henry, Joseph, Eliza Amelia and David. 7-Sophia Dennis was born in Jul 1854 in Eriswell, Suffolk, England and died in 1855 at sea at age 1. 7-William Dennis was born on 5 May 1856 in Longford, Tasmania, died on 7 May 1917 in Perth at age 61, and was buried in Perth. William married Isabella Grainger on 14 Mar 1882 in Evandale, Tasmania. Isabella was born about 1859 in Australia, died in 1942 in Perth aged about 83, and was buried in Perth. They had 11 children: Elizabeth Matilda, Isabella, Martin William, Mary Lucy, Lydia Amy, Andrew Sydney, Charles Louis, Matthew Marshall, Rosetta, Fanny Victoria May and Lela Elizah. 8-Elizabeth Matilda Dennis was born on 25 Jan 1883 in Longford, Tasmania, died on 2 Oct 1957 in Longford, Tasmania at age 74, and was buried in Oct 1957 in Christ Church, Longford, Tasmania. Elizabeth married Joseph Saltmarsh, son of John Saltmarsh and Elizabeth Hodgetts, on 20 Jul 1904 in Perth. Joseph was born on 21 Oct 1872 in Longford, Tasmania, died on 12 Jan 1945 in Tasmania at age 72, and was buried on 13 Jan 1945 in Christ Church, Longford, Tasmania. They had three children: Leita Dennis, Norman and Reginald William. 9-Leita Dennis Saltmarsh was born on 12 Oct 1904 in Longford, Tasmania, died on 6 Feb 1999 in Longford, Tasmania at age 94, and was buried in Christ Church, Longford, Tasmania. 9-Norman Saltmarsh was born on 19 Aug 1905 in Longford, Tasmania, died on 17 Nov 1957 at age 52, and was buried in Longford, Tasmania. 9-Reginald William Saltmarsh was born on 20 Sep 1907 in Longford, Tasmania, died on 18 Oct 1975 at age 68, and was buried on 20 Oct 1975 in Longford, Tasmania. Reginald married Janet Delia Hill. Janet was born on 25 Jun 1908 in Illawarra, Tasmania, Australia, died on 8 May 1982 at age 73, and was buried on 11 May 1982 in Longford, Tasmania. They had a son: Colin William. 10-Colin William Saltmarsh was born in 1928, died on 5 Jul 1930 in Longford, Tasmania at age 2, and was buried on 7 Jul 1930 in Longford, Tasmania. 8-Isabella Dennis was born in 1884 in Longford, Tasmania. Isabella married John Jacob Connell on 14 Mar 1906 in Perth. They had five children: Archibald John, Irene Isabel, Verdun Daven, William Trevor and Cicely. 9-Archibald John Connell was born on 4 Mar 1907 in Longford, Tasmania, died in 1990 at age 83, and was buried in 1990 in Perth General Cemetery, Perth, Tasmania, Australia. Archibald married Hazel May ?. Hazel was born on 14 Mar 1908, died on 3 Nov 2004 in Tasmania at age 96, and was buried on 4 Nov 2004 in Perth General Cemetery, Perth, Tasmania, Australia. 9-Irene Isabel Connell was born on 19 Dec 1908 in Llewellyn, Tasmania, Australia, died on 26 Nov 2001 in Latrobe, Tasmania, Australia at age 92, and was cremated on 29 Nov 2001 in Carr Villa Cemetery, Launceston, Tasmania. Tene married Leslie Francis Ritter. Leslie was born in 1901, died on 10 Jun 1986 at age 85, and was cremated on 12 Jun 1986 in Carr Villa Cemetery, Launceston, Tasmania. They had a son: Miles (Mick). 10-Miles (Mick) Ritter was born in 1951, died on 22 Jan 1977 in Pine Lake, Great Lake, Tasmania, Australia at age 26, and was cremated on 25 Jan 1977 in Carr Villa Cemetery, Launceston, Tasmania. 9-Verdun Daven Connell was born on 18 Mar 1916 in Perth, died on 4 Dec 1991 at age 75, and was cremated on 5 Dec 1991 in Carr Villa Cemetery, Launceston, Tasmania. Verdun married Mollie June Barrett. Mollie died on 14 Jul 2000 in Longford, Tasmania and was cremated on 18 Jul 2000 in Carr Villa Cemetery, Launceston, Tasmania. 9-William Trevor Connell was born on 22 Jan 1919 in York Plains, Tasmania and died before 2001. 9-Cicely Connell was born on 22 Jan 1927 and died on 15 Mar 2012 at age 85. Cicely married Max Saunders. Max died before 2001. 8-Martin William Dennis was born on 10 Feb 1886 in Longford, Tasmania, died on 8 Jun 1957 in Perth at age 71, and was buried in Perth General Cemetery, Perth, Tasmania, Australia. Martin married Kate Broad on 21 Nov 1922 in Launceston, Tasmania. Kate was born about 1889, died on 9 Aug 1962 in Scottsdale, Tasmania, Australia aged about 73, and was buried in Perth General Cemetery, Perth, Tasmania, Australia. 8-Mary Lucy Dennis was born on 30 May 1887 in Longford, Tasmania. 8-Lydia Amy Dennis was born on 7 Oct 1889 in Longford, Tasmania, died on 23 Oct 1974 in Perth at age 85, and was buried in Perth General Cemetery, Perth, Tasmania, Australia. Lydia married George Croome Smart, son of George Ellis Douglas Smart and Emma Croome, on 6 Sep 1916 in Longford, Tasmania. George was born on 23 Sep 1882 in Longford, Tasmania, died on 23 Feb 1961 at age 78, and was buried in Perth General Cemetery, Perth, Tasmania, Australia. They had three children: Phyllis Bulah, Eunice Enid and George Ellis Douglas. 9-Phyllis Bulah Smart was born on 6 Apr 1917 in Longford, Tasmania. 9-Eunice Enid Smart was born on 26 Oct 1919 in Longford, Tasmania. 9-George Ellis Douglas Smart was born in 1923, died on 19 May 1990 at age 67, and was cremated on 22 May 1990 in Carr Villa Cemetery, Launceston, Tasmania. George married someone on 24 Dec 1949. He had one daughter: Jennifer Denise. 10-Jennifer Denise Smart was born on 14 Nov 1958 in Launceston, Tasmania, died on 17 Nov 1958, and was cremated on 18 Nov 1958 in Carr Villa Cemetery, Launceston, Tasmania. 8-Andrew Sydney Dennis was born on 19 Feb 1892 in Longford, Tasmania, died on 21 Jun 1919 in Stanley, Tasmania, Australia at age 27, and was buried in Perth General Cemetery, Perth, Tasmania, Australia. 8-Charles Louis Dennis was born on 17 Feb 1895 in Longford, Tasmania, died on 22 Feb 1965 in Perth at age 70, and was buried in Perth General Cemetery, Perth, Tasmania, Australia. Other names for Charles were Lewis Charles Dennis and Louis Charles (Coy) Dennis. Charles married Elvie Alice Bye on 10 Jan 1923 in Launceston, Tasmania. Elvie was born on 18 Jul 1897 in Longford, Tasmania, died on 24 Jul 1969 in Launceston, Tasmania at age 72, and was buried in Perth General Cemetery, Perth, Tasmania, Australia. They had four children: Sydney Charles, Ivan Leo, Allen William and Manfred. 9-Sydney Charles Dennis was born on 27 Jul 1925 in Perth, died on 25 Dec 1998 at age 73, and was buried in Perth General Cemetery, Perth, Tasmania, Australia. 9-Ivan Leo Dennis was born on 2 Jul 1929 in Perth, died on 20 Jul 2003 at age 74, and was buried on 25 Jul 2003 in Perth General Cemetery, Perth, Tasmania, Australia. 9-Allen William Dennis was born on 8 Jul 1932 in Longford, Tasmania, died on 23 Feb 1985 in Perth at age 52, and was buried in Perth General Cemetery, Perth, Tasmania, Australia. 9-Manfred Dennis died before 2003. 8-Matthew Marshall Dennis was born on 17 Oct 1896 in Longford, Tasmania. Matthew married Lorina Irene Bauld on 15 Jan 1925 in Hadspen, Tasmania. They had four children: Larter William Bauld, Beau Marshall, Leon Talbert and Deanna. 9-Larter William Bauld Dennis died on 15 Feb 1999 in Scottsdale, Tasmania, Australia. Larter married Esma Gwenneth Doherty. Esma was born in 1931 and died on 26 Oct 2010 in Scottsdale, Tasmania, Australia at age 79. They had one son: James Marshall (Jamie). 10-James Marshall (Jamie) Dennis was born on 2 Apr 1961 in Scottsdale, Tasmania, Australia, died on 1 Apr 1995 in Scottsdale, Tasmania, Australia at age 33, and was buried on 4 Apr 1995 in Ellesmere Cemetery, Scottsdale, Tasmania. 9-Beau Marshall Dennis died on 10 Sep 2005. 9-Leon Talbert Dennis died on 22 Dec 2005 and was buried on 28 Dec 2005 in Hobart, Tasmania. 9-Deanna Dennis died before 2005. 8-Rosetta Dennis was born on 5 Feb 1898 in Longford, Tasmania, died on 2 Dec 1974 at age 76, and was buried on 4 Dec 1974 in Carr Villa Cemetery, Launceston, Tasmania. Rosetta married Reginald Cabalzar on 10 Feb 1921 in Perth. Reginald was born in 1897, served in the first World War died on 12 Jan 1975 in Launceston at age 78, and was buried on 16 Jan 1975 in Carr Villa Cemetery, Launceston, Tasmania. They had seven children: Lawton Reginald Sydney, Bella Rosalie (Belle), Christopher William (Harry), Fay Elizabeth, Kenneth (Ken) Talbot, Earl Desmond and Reginald Geoffrey. 9-Lawton Reginald Sydney Cabalzar was born on 7 May 1924 in Perth, died on 14 May 1978 in Launceston at age 54, and was buried in May 1978 in Carr Villa Cemetery, Launceston, Tasmania. Lawton married Patricia Joy (Pattie) Crothers, daughter of Albert Leslie (Kim) Crothers and Violet Breona Marston, on 18 Nov 1950. Patricia was born on 26 Oct 1930. They had four children: Kim Anthony, Julianne Gaye, Michael James and Philip Lawton. 10-Michael James Cabalzar died before Jul 2007. 9-Bella Rosalie (Belle) Cabalzar was born in 1922, died on 23 Jan 2004 at age 82, and was buried on 27 Jan 2004 in Carr Villa Cemetery, Launceston, Tasmania. Bella married Keith (Fred) Williams on 14 Mar 1951 in Devonport, Tasmania. Keith died before 2006. They had one daughter: Helen. 10-Helen Williams died before 2011. 9-Christopher William (Harry) Cabalzar was born in 1922 and died on 11 Feb 2011 in Strathdevon, Tasmania, Australia at age 89. 9-Fay Elizabeth Cabalzar was born on 10 Aug 1927 and died on 14 Nov 2011 at age 84. Fay married Royce Douglas Murfet on 26 Apr 1950 in Launceston, Tasmania. Royce was born in 1927 and died on 17 Feb 2011 at age 84. 9-Kenneth (Ken) Talbot Cabalzar was born on 29 Dec 1930 in Launceston, Tasmania, died on 13 Aug 2006 at age 75, and was buried on 17 Aug 2006 in Carr Villa Cemetery, Launceston, Tasmania. 9-Earl Desmond Cabalzar was born in 1932, died on 19 Jun 1958 at age 26, and was buried on 7 Oct 1958 in Carr Villa Cemetery, Launceston, Tasmania. 9-Reginald Geoffrey Cabalzar died before 2011. Reginald married Lucy May Crabtree on 16 Nov 1951 in Devonport, Tasmania. Lucy died before 2011. 8-Fanny Victoria May Dennis was born on 4 Jul 1900 in Perth and died in 1985 at age 85. 8-Lela Elizah Dennis was born on 27 Jul 1902 in Perth. Lela married Ronald Raymond Hind on 3 Jan 1925 in Launceston, Tasmania. Ronald was born in Launceston, Tasmania. 7-Isaac Dennis was born on 1 Nov 1857 in Longford, Tasmania, died on 4 Mar 1939 in Tasmania at age 81, and was buried in Perth General Cemetery, Perth, Tasmania, Australia. 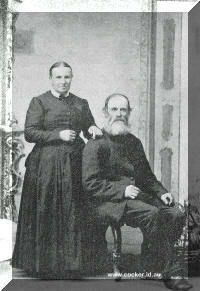 Isaac married Elizabeth Hannah Polley on 2 Jun 1881 in Longford, Tasmania. Elizabeth was born on 24 Apr 1863 in Longford, Tasmania, died on 23 Sep 1953 in Tasmania at age 90, and was buried in Perth General Cemetery, Perth, Tasmania, Australia. They had 11 children: Elizabeth Anna, Emily Melinda, Ethel Eva, Isaac William, Edna Ella, Ivy Margaret, Audley Bernard C, Marrilla Lily May, Robert Arthur, Leonard Roy and Geoffrey Harold. 8-Elizabeth Anna Dennis was born on 27 Dec 1881 in Longford, Tasmania, died on 25 Apr 1954 at age 72, and was buried in Perth General Cemetery, Perth, Tasmania, Australia. She never married and had no children. 8-Emily Melinda Dennis was born on 18 Jan 1884 in Longford, Tasmania. Emily married William Button on 30 Dec 1903 in Launceston, Tasmania. William died on 17 Jul 1927 in Perth and was buried in Perth. They had two children: Lillian Hannah and Vernon William. 9-Lillian Hannah Button was born on 9 Feb 1905 in Launceston, Tasmania. 9-Vernon William Button was born on 2 Dec 1906 in Perth. 8-Ethel Eva Dennis was born on 23 May 1886 in Longford, Tasmania, died on 19 Jun 1946 at age 60, and was buried in Perth. Ethel married Ernest George Lewis on 13 Sep 1905 in Perth. Ernest died on 4 May 1972 and was buried in Perth. They had three children: Clifford Ernest, Winifred Coral and Herbert Leslie. 9-Clifford Ernest Lewis was born on 29 Jun 1906 in Raxford, Tasmania, Australia, died in 1990 at age 84, and was buried in Perth. 9-Winifred Coral Lewis was born on 3 Feb 1909 in Perth, died in 1916 at age 7, and was buried in Perth General Cemetery, Perth, Tasmania, Australia. 9-Herbert Leslie Lewis was born on 1 Dec 1912 in Perth. 8-Isaac William Dennis was born on 10 Feb 1889 in Longford, Tasmania and died on 21 Aug 1939 in Scottsdale, Tasmania, Australia at age 50. Isaac married Alice Maud Summers on 7 Jun 1916 in Launceston, Tasmania. Alice was born on 10 Dec 1891 in Pyengana, Tasmania, Australia, died on 31 Jul 1948 at age 56, and was buried in Carr Villa Cemetery, Launceston, Tasmania. They had three children: Vera Maud, Gertrude May and Gwendoline Verna. 9-Vera Maud Dennis was born in 1908 in Pioneer and died on 2 Jan 1944 in Devonport, Tasmania at age 36. Vera married Thomas James Matthews on 10 Oct 1928 in Launceston, Tasmania. Thomas was born in 1898 in New Norfolk, Tasmania, Australia. 9-Gertrude May Dennis was born on 30 Sep 1909. 9-Gwendoline Verna Dennis was born on 28 Sep 1918. 8-Edna Ella Dennis was born on 21 Mar 1891 in Longford, Tasmania. Edna married Alfred Charles Smith on 19 Feb 1908 in Perth. They had three children: Reginald Felix, Raymond Alfred and Cyril Roderick. 9-Reginald Felix Smith was born on 3 Sep 1909 in Perth. 9-Raymond Alfred Smith was born on 11 May 1911 in Blackwood Creek, Tasmania, Australia, died on 21 Mar 2008 in Longford, Tasmania at age 96, and was buried on 26 Mar 2008 in Blackwood Creek, Tasmania, Australia. Raymond married Edna Jean Hodgetts on 4 Mar 1935 in Cressy, Tasmania. Edna was born on 20 Jul 1912 in Cressy, Tasmania and died before Mar 2008. They had three children: Roy, Kevin and Lois. 10-Roy Smith died before Mar 2008. 10-Kevin Smith died before 2008. 10-Lois Smith died before 2008. 9-Cyril Roderick Smith was born on 25 Apr 1916 in Blackwood Creek, Tasmania, Australia, died on 8 Mar 1982 in Launceston, Tasmania at age 65, and was buried in Longford, Tasmania. Cyril married Barbara Jean Saltmarsh on 17 Jan 1939 in Launceston, Tasmania. Barbara was born on 21 Oct 1923, died on 15 May 2011 in Longford, Tasmania at age 87, and was buried on 18 May 2011. 8-Ivy Margaret Dennis was born on 16 Jun 1893 in Longford, Tasmania, died on 29 Dec 1910 in Perth at age 17, and was buried in Perth. 8-Audley Bernard Clifford Dennis† was born on 4 Jul 1895 in Longford, Tasmania, died in the First World War on 4 Sep 1916 in Mouquet Farm, Pozieres, France at age 21. 8-Marrilla Lily May Dennis was born on 15 Dec 1898 in Longford, Tasmania, died on 7 Jun 1988 in Perth at age 89, and was buried in Perth General Cemetery, Perth, Tasmania, Australia. Marrilla married John Henry Turmine on 12 Oct 1914 in Perth. John was born on 16 Nov 1894 in Longford, Tasmania, died on 14 Jun 1949 in Perth at age 54, and was buried in Perth General Cemetery, Perth, Tasmania, Australia. They had five children: Charles Isaac, John William Audley (Jack), Sylvia May, Cyril George (Squib) and Donald. 9-Charles Isaac Turmine was born on 4 Jul 1915 in Perth, died on 18 Mar 1973 in Exeter, Tasmania at age 57, and was buried in Perth General Cemetery, Perth, Tasmania, Australia. Charles married Hazel Helen ?. Hazel died on 18 May 1990 and was buried in Perth General Cemetery, Perth, Tasmania, Australia. They had one son: Terry. 10-Terry Turmine died before 2001. 9-John William Audley (Jack) Turmine was born on 25 Jun 1916 in Merseylea, Tasmania, Australia, died on 19 Sep 1993 in Beaconsfield, Tasmania at age 77, and was buried on 22 Sep 1993 in Beaconsfield, Tasmania. John married Ivy Freda Button on 2 Nov 1938 in Latrobe, Tasmania, Australia. Ivy was born on 4 May 1916 in Longford, Tasmania, died on 26 Dec 2003 in Beauty Point, Tasmania at age 87, and was buried on 30 Dec 2003 in Beaconsfield, Tasmania. They had one son: Kevin James. 10-Kevin James Turmine was born about 1949 and died on 30 Aug 2011 in Launceston, Tasmania aged about 62. 9-Sylvia May Turmine was born on 30 Nov 1918 in Perth and died on 25 May 2011 at age 92. Sylvia married Leslie George (Cherry) Bennett. Leslie died before 2006. They had one son: John. 10-John Bennett died before 2011. 9-Cyril George (Squib) Turmine was born in 1920, died on 26 Nov 2006 in Launceston, Tasmania at age 86, and was cremated in Perth General Cemetery, Perth, Tasmania, Australia. Cyril married Betty. Betty died before 2006. They had one son: Donald James. 10-Donald James Turmine was born on 26 Feb 1947 in Launceston, Tasmania and died before 2006. 9-Donald Turmine died before 2006. 8-Robert Arthur Dennis was born on 18 Jan 1901 in Perth, died on 9 May 1985 at age 84, and was buried in Perth General Cemetery, Perth, Tasmania, Australia. 8-Leonard Roy Dennis was born on 15 Sep 1903 in Longford, Tasmania, died on 31 Oct 1988 in Perth at age 85, and was buried on 2 Nov 1988 in Perth. Leonard married Annie Maida Doris Fraser on 27 Apr 1928 in Breadalbane, Tasmania. Annie was born on 23 Nov 1908 in Cheshunt, Tasmania, Australia, died on 1 Aug 1987 in Longford, Tasmania at age 78, and was buried on 4 Aug 1987 in Perth General Cemetery, Perth, Tasmania, Australia. They had two children: Albert Roy and Maxwell Leo. 9-Albert Roy Dennis was born on 8 Mar 1929 in Breadalbane, Tasmania, died on 14 Dec 1995 at age 66, and was buried on 18 Dec 1995 in Perth General Cemetery, Perth, Tasmania, Australia. Albert married someone about Mar 1954. She had one daughter: Roslyn Patricia. 10-Roslyn Patricia Dennis was born on 7 May 1958, died on 23 May 1959 at age 1, and was buried in Perth General Cemetery, Perth, Tasmania, Australia. She never married and had no children. 9-Maxwell Leo Dennis was born on 17 Aug 1930 in Longford, Tasmania, died on 27 Jul 1973 in Launceston, Tasmania at age 42, and was buried on 31 Jul 1973 in Perth. 8-Geoffrey Harold Dennis was born on 17 Dec 1905 in Perth, died on 12 Oct 1997 at age 91, and was buried in Perth General Cemetery, Perth, Tasmania, Australia. Geoffrey married Muriel. Muriel was born in 1906, died on 31 Mar 1951 at age 45, and was buried in Perth General Cemetery, Perth, Tasmania, Australia. 7-George Dennis was born on 8 Sep 1859 in Tasmania and died on 11 Jun 1934 in Ulverstone, Tasmania at age 74. 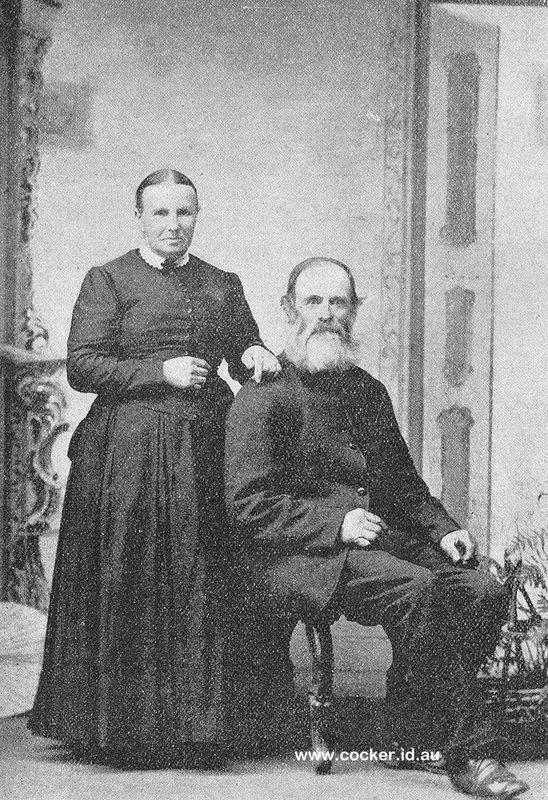 George married Anna Maria Burrows on 9 May 1882 in Campbell Town, Tasmania. Anna was born on 13 Jan 1859 in Australia, died on 19 Sep 1946 in Perth at age 87, and was buried in Perth General Cemetery, Perth, Tasmania, Australia. They had 12 children: Thelma Beryl, Ada Alice, Melinda Isabel, Roderick George, Millicent Sophia, Maurice Oscar, Lorna Marian Amelia, Claude Ernest, Arthur Reginald "Ben," Bernard William, Vernon William and Thelma Beryl. 8-Thelma Beryl Dennis was born in 1882 in Longford, Tasmania. 8-Ada Alice Dennis was born on 18 Jan 1883 in Longford, Tasmania and died in 1961 in Geelong, Victoria at age 78. Ada married Walter Thompson Lapthorne on 29 Mar 1916 in Perth. Walter was born in 1886 in Sandhurst, Victoria, Australia and died in 1979 in Richmond, Victoria, Australia at age 93. 8-Melinda Isabel Dennis was born on 12 May 1884 in Longford, Tasmania, died on 3 Jun 1964 in Launceston, Tasmania at age 80, and was buried on 4 Jun 1964 in Carr Villa Cemetery, Launceston, Tasmania. Melinda married Albert Alfred Moss on 24 Nov 1914 in Launceston, Tasmania. Albert was born on 28 Nov 1890 in Launceston, Tasmania, died on 15 Apr 1964 at age 73, and was buried on 16 Apr 1964 in Carr Villa Cemetery, Launceston, Tasmania. 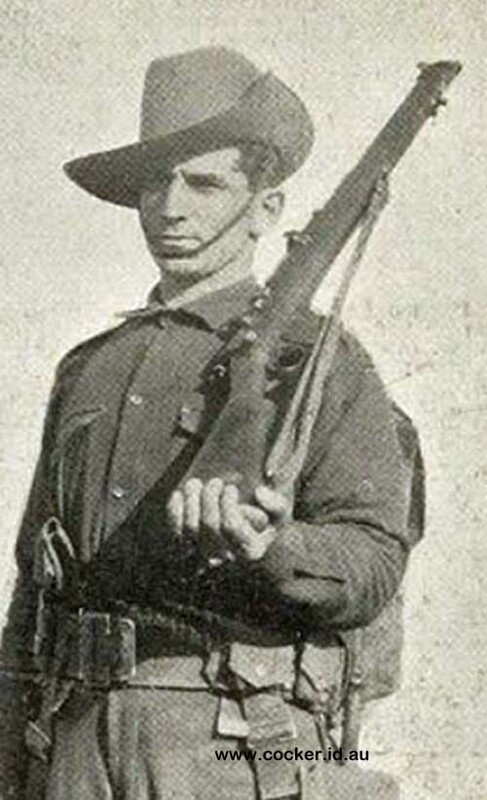 8-Roderick George Dennis† was born on 15 Mar 1886 in Longford, Tasmania and died in the First World War on 2 May 1915 in Gallipoli, Turkey at age 29. 8-Millicent Sophia Dennis was born on 30 Aug 1887 in Longford, Tasmania. Millicent married someone on 23 Jan 1909 in Launceston, Tasmania. He had one son: Darrell Dennis. 9-Darrell Dennis Thompson was born on 28 Mar 1915 in St Helen's, Tasmania, Australia and died in Mar 1984 in Melbourne, Victoria at age 69. 8-Maurice Oscar Dennis was born on 15 Jul 1889 in Longford, Tasmania, died on 23 Mar 1971 in Deloraine, Tasmania at age 81, and was buried on 25 Mar 1971 in General Cemetery, Deloraine, Tasmania. Maurice married Annie May Lobb on 11 Aug 1914 in Mangatoki, South Taranaki, New Zealand. Annie was born in 1894 in Lilydale, Tasmania and died on 28 Feb 1980 in Deloraine, Tasmania at age 86. They had two children: Gerald Lindsay and Berwin Frances. 9-Gerald Lindsay Dennis was born on 5 Aug 1917 in Latrobe, Tasmania, Australia and died in 1994 in Tasmania at age 77. 9-Berwin Frances Dennis was born on 20 Nov 1918 in Latrobe, Tasmania, Australia and died in 1997 in Albury, New South Wales at age 79. Berwin married Margaret Maud Potter. Margaret died in 1995 in Albury, New South Wales. They had one son: Warren Francis. 10-Warren Francis Dennis was born on 5 Apr 1947 in Albury, New South Wales and died on 30 Sep 1995 in Sale, Victoria, Australia at age 48. 8-Lorna Marian Amelia Dennis was born on 2 Dec 1891 in Longford, Tasmania, died on 31 May 1967 in Tasmania at age 75, and was buried on 2 Jun 1967 in Cornelian Bay, Hobart, Tasmania. Lorna married Ernest Edward Lay on 24 Dec 1913 in Launceston, Tasmania. Ernest was born on 27 Mar 1890 in Latrobe, Tasmania, Australia, died on 19 Feb 1959 in Tasmania at age 68, and was buried on 21 Feb 1959 in Cornelian Bay, Hobart, Tasmania. They had two children: Eileen and Molly. 9-Eileen Lay was born on 2 Aug 1916 in Launceston, Tasmania and died on 23 Aug 1921 in St Leonard's, Tasmania, Australia at age 5. 9-Molly Lay was born on 25 Dec 1921 in Launceston, Tasmania and died on 18 Jul 1993 in Tasmania at age 71. Molly married Phillip Leslie Commane. Phillip was born in 1921 in Tasmania and died on 31 Mar 1994 in Tasmania at age 73. 8-Claude Ernest Dennis was born on 14 Apr 1893 in Longford, Tasmania, died on 2 Dec 1976 in Launceston, Tasmania at age 83, and was buried on 3 Dec 1976 in Carr Villa Cemetery, Launceston, Tasmania. Claude married Lillis Louise Baker on 21 Oct 1913 in Longford, Tasmania. Lillis was born on 12 Nov 1892 in Campbell Town, Tasmania, died on 9 Jan 1926 in Launceston, Tasmania at age 33, and was buried in Perth. They had three children: Nita Elvina, Algy Kenneth and Poppy Jeanette. 9-Nita Elvina Dennis was born on 22 Oct 1913 in Longford, Tasmania and died on 2 Jul 1916 in Perth at age 2. 9-Algy Kenneth Dennis was born on 15 Jul 1916 in Longford, Tasmania, died on 21 May 1970 in Launceston, Tasmania at age 53, and was cremated on 22 May 1970 in Carr Villa Cemetery, Launceston, Tasmania. 9-Poppy Jeanette Dennis was born on 26 Jul 1922 in Perth and died on 21 Jan 2000 in Launceston, Tasmania at age 77. Poppy married Roy Albert Mantach on 6 Oct 1945. Roy was born on 29 Mar 1923 and died on 18 Jul 2009 in Launceston, Tasmania at age 86. They had two children: Gary Roy and Noelene Joy. 10-Gary Roy Mantach was born on 25 Jul 1946 and died on 12 Jul 1957 in Launceston, Tasmania at age 10. 10-Noelene Joy Mantach was born on 25 Apr 1949 and died on 13 Apr 2004 in Hobart, Tasmania at age 54. Claude next married Eliza Estelle Saunders on 5 May 1934 in Tasmania. Eliza was born on 10 Oct 1910 in Evandale, Tasmania and died on 31 Jan 1948 in Hobart, Tasmania at age 37. They had two children: Dorothy Ida and Beverly Ann. 9-Dorothy Ida Dennis was born on 28 Jul 1934 in Avoca, Tasmania and died on 19 Apr 1990 in Launceston, Tasmania at age 55. 9-Beverly Ann Dennis was born on 5 Jun 1943 and died on 26 Aug 1943. 8-Arthur Reginald "Ben" Dennis was born on 25 May 1895 in Longford, Tasmania and died in Southport, Queensland, Australia. Arthur married Emily Elizabeth Dalziel. Emily was born on 25 Feb 1903 in Strahan, Tasmania, Australia and died on 19 Nov 2001 in Perth at age 98. 8-Bernard William Dennis was born on 19 Sep 1896 in Longford, Tasmania and died on 27 Nov 1978 in New South Wales at age 82. 8-Vernon William Dennis was born in 1897 in Longford, Tasmania, died on 4 May 1956 at age 59, and was buried in Perth General Cemetery, Perth, Tasmania, Australia. Vernon served in the First World War. 8-Thelma Beryl Dennis was born on 28 Sep 1901 in Perth and died on 16 Jan 1956 in Tasmania at age 54. Thelma married Russell Lewis Mace on 4 Apr 1929 in Launceston, Tasmania. Russell was born on 3 Sep 1888 in Launceston, Tasmania and died on 10 Nov 1960 in Westbury, Tasmania at age 72. They had one son: Murray David. 9-Murray David Mace was born in 1932 in Tasmania and died on 30 Jul 1967 in Tasmania at age 35. 7-Sarah Sophia Dennis was born on 1 Aug 1861 in Longford, Tasmania, died in May 1941 at age 79, and was buried on 20 May 1941 in Carr Villa Cemetery, Launceston, Tasmania. Sarah married Henry Burk on 24 Oct 1888 in Longford, Tasmania. Henry was born on 20 Feb 1860, died in Jul 1938 at age 78, and was buried on 28 Jul 1938 in Carr Villa Cemetery, Launceston, Tasmania. They had six children: Elvie May, Harry Gordon, Mildred Sophia, Unice Ada Drucella, Ira Vernon and Norris Victor. 8-Elvie May Burk was born on 19 Apr 1890 in Launceston, Tasmania, died on 10 Oct 1967 in Launceston, Tasmania at age 77, and was buried on 11 Oct 1967 in Carr Villa Cemetery, Launceston, Tasmania. Elvie married William Joseph Williams on 15 Jan 1921 in Launceston, Tasmania. William was born in 1873, died on 12 Sep 1939 at age 66, and was buried on 13 Sep 1939 in Carr Villa Cemetery, Launceston, Tasmania. 8-Harry Gordon Burk was born on 9 May 1891 in Launceston, Tasmania and died on 6 Dec 1967 at age 76. Harry married someone on 19 Aug 1914 in Longford, Tasmania. He had five children: Roderick Gordon Dardanelle, Maxwell Athol, Royce, Keith and Graeme. 9-Roderick Gordon Dardanelle Burk was born on 31 Jul 1915 in Launceston, Tasmania, died on 7 Sep 1989 at age 74, and was buried on 11 Sep 1989 in Carr Villa Cemetery, Launceston, Tasmania. 9-Maxwell Athol Burk was born on 26 Oct 1918 in Hobart, Tasmania and died on 9 Jul 1994 in Tasmania at age 75. 9-Royce Burk died before 1994. 9-Keith Burk died before 1994. 9-Graeme Burk died before 1994. 8-Mildred Sophia Burk was born in 1892 in Launceston, Tasmania and died on 15 Aug 1929 in Launceston, Tasmania at age 37. Mildred married someone. He had one son: Boy. 9-Boy Burk was born on 28 Sep 1918 in Launceston, Tasmania. 8-Unice Ada Drucella Burk was born in 1894 in Longford, Tasmania. Unice married someone on 4 Jan 1917 in Invermay, Tasmania, Australia. He had one son: Gordon Clement. 9-Gordon Clement Rushton was born on 2 Dec 1917 in Launceston, Tasmania. 8-Ira Vernon Burk was born in 1896 in Longford, Tasmania and died on 29 Dec 1973 in Ulverstone, Tasmania at age 77. Ira married someone on 15 Apr 1922 in Wynyard, Tasmania. 8-Norris Victor Burk was born on 11 Sep 1898 in Longford, Tasmania and died on 21 Jul 1959 in Melbourne, Victoria at age 60. Norris married someone on 28 Jan 1922 in Launceston, Tasmania. Norris next married someone on 1 Mar 1928 in Launceston, Tasmania. 7-John Dennis was born on 15 Jan 1864 in Longford, Tasmania. John married Charlotte Gustus Bennett, on 24 Dec 1884 in Tasmania. Charlotte was born on 18 Feb 1862 in Morven, now Evandale, died on 27 Jun 1924 in Perth at age 62, and was buried in Perth. They had eleven children: Eric Ernest, Gertie Mildred, Myrtle Elvy, John Wilfred, William Luke, Winifred (Winnie) May, Gordon Oscar, Cathleen Sarah Lillian, Arthur Baden Cyril, Amy Ireleen and Alice Charlotte. 8-Eric Ernest Dennis was born on 11 Jun 1885 in Perth, died on 5 Apr 1929 in Launceston, Tasmania at age 43, and was buried on 7 Apr 1929 in Carr Villa Cemetery, Launceston, Tasmania. Eric married someone on 25 Oct 1911 in Burnie, Tasmania, Australia. She had one son: John Herman. 9-John Herman Dennis was born on 23 Dec 1912 in Launceston, Tasmania, died on 14 Jul 1913 in Launceston, Tasmania, and was buried on 15 Jul 1913 in Carr Villa Cemetery, Launceston, Tasmania. Eric next married someone on 15 Jun 1915 in Launceston, Tasmania. 8-Gertie Mildred Dennis was born on 28 Mar 1887 in Perth, died on 28 Jul 1976 in Sulphur Creek, Tasmania, Australia at age 89, and was buried on 30 Jul 1976 in Penguin, Tasmania, Australia. Gertie married Ernest Lyle Taylor on 28 Mar 1907 in Sulphur Creek, Tasmania, Australia. Ernest was born on 1 Dec 1875 in Angaston, South Australia, died on 27 Jul 1959 in Sulphur Creek, Tasmania, Australia at age 83, and was buried on 29 Jul 1959 in Penguin, Tasmania, Australia. They had six children: Mervyn Coombe, Ernest Eric (Jim), Elsie Jean, Lyle, Gwendoline and Robert Gordon. 9-Mervyn Coombe Taylor was born on 17 Mar 1908 in Sulphur Creek, Tasmania, Australia and died on 13 Oct 1981 in Canberra, Australian Capital Territory at age 73. Mervyn married someone on 17 Nov 1945 in Burwood, New South Wales. 9-Ernest Eric (Jim) Taylor was born on 8 Jan 1910 in Sulphur Creek, Tasmania, Australia and died in 1981 at age 71. 9-Elsie Jean Taylor was born on 24 Dec 1911 in Sulphur Creek, Tasmania, Australia and died in 1968 at age 57. 9-Lyle Taylor was born on 10 Aug 1914 in Sulphur Creek, Tasmania, Australia. 9-Gwendoline Taylor was born on 29 Dec 1916 in Sulphur Creek, Tasmania, Australia. 9-Robert Gordon Taylor was born on 16 Sep 1919 in Penguin, Tasmania, Australia, died in May 1991 in Penguin, Tasmania, Australia at age 71, and was buried on 1 Jun 1991 in Penguin, Tasmania, Australia. 8-Myrtle Elvy Dennis was born on 7 May 1889 in Perth. Myrtle married Reginald Oakley Jordan, son of David Benjamin Ludgett Jordan and Emily Riggs, on 18 Jul 1906 in Sulphur Creek, Tasmania, Australia. Reginald was born on 9 Oct 1881 in Ulverstone, Tasmania. They had two children: Charles Robert Howard and David Benjamin Ledgitt. 9-Charles Robert Howard Jordan was born on 26 Jan 1907 in North Motton, Tasmania, Australia and died on 21 Aug 1980 at age 73. Charles married Gladys Ida McCulloch. Gladys was born on 20 Oct 1909 in Gawler, Tasmania. 9-David Benjamin Ledgitt Jordan was born on 26 Aug 1909 in Forth, Tasmania. Another name for David was David Benjamin Lidgett Jordan. David married Lucy May Smith. Lucy was born on 11 Dec 1915 in Yolla, Tasmania and died on 22 May 2007 in Somerset, Tasmania, Australia at age 91. They had one daughter: Norma Rae. 10-Norma Rae Jordan was born on 3 Jan 1936 and died on 30 Aug 1936. 8-John Wilfred Dennis was born on 21 May 1891 in Perth, died in Sep 1968 at age 77, and was buried on 10 Sep 1968 in Carr Villa Cemetery, Launceston, Tasmania. John married Elizabeth Jane Gregs on 29 Apr 1915 in Queenstown, Tasmania, Australia. Elizabeth was born in 1895, died on 21 Nov 1969 at age 74, and was buried on 24 Nov 1969 in Carr Villa Cemetery, Launceston, Tasmania. 8-William Luke Dennis was born on 28 Oct 1892 in Romaine Park, Tasmania, Australia, died in Jul 1974 at age 81, and was buried on 30 Jul 1974 in Penguin, Tasmania, Australia. William married Catherine Smith on 17 Jul 1915 in Ulverstone, Tasmania. Catherine was born in 1893, died in Jul 1942 at age 49, and was buried on 7 Jul 1942 in Penguin, Tasmania, Australia. 8-Winifred (Winnie) May Dennis was born on 16 Jun 1894 in Romaine Park, Tasmania, Australia and died before 2003. Winifred married Harold Charles Lockwood on 27 Jan 1912 in Launceston, Tasmania. Harold died before 2003. They had eight children: Lila May, Bernie Oliver, Corrie Ellen, Muriel Jean, Una, Jack, George Thomas (Tom) David and Dennis Carlyle (Pat). 9-Lila May Lockwood was born on 27 Jul 1912 in Symmon's Plains, Tasmania, Australia and died before 2003. 9-Bernie Oliver Lockwood was born on 16 Oct 1914 in Snake Banks, Tasmania, Australia and died before 2003. 9-Corrie Ellen Lockwood was born on 8 Jul 1916 in Powranna, Tasmania, Australia and died before 2003. 9-Muriel Jean Lockwood was born on 15 Mar 1918 in Powranna, Tasmania, Australia and died before 2003. 9-Una Lockwood died before 2003. 9-Jack Lockwood died before 2003. 9-George Thomas (Tom) David Lockwood was born in 1922, died on 13 Sep 2003 in Launceston, Tasmania at age 81, and was buried on 18 Sep 2003 in Devonport, Tasmania. George married Gwenneth Maida Anderson. Gwenneth was born in 1922, died on 23 Dec 2010 in Devonport, Tasmania at age 88, and was buried on 27 Dec 2010 in Devonport, Tasmania. 9-Dennis Carlyle (Pat) Lockwood was born on 17 Mar 1930 in West Kentish, Tasmania, died on 17 Sep 1985 in West Kentish, Tasmania at age 55, and was buried on 21 Sep 1985 in Devonport, Tasmania. Dennis married Zilla May Davies. Zilla was born on 8 Jul 1928 in Staverton, Tasmania, Australia, died on 28 Apr 1986 in West Kentish, Tasmania at age 57, and was buried on 30 Apr 1986 in Mersey Vale Memorial Park Lawn Cemetery, Tasmania, Australia. They had one daughter: Jill Maree. 10-Jill Maree Lockwood was born about 7 Jun 1964 in Sheffield, Tasmania, Australia, died on 5 Aug 1997 in Latrobe, Tasmania, Australia aged about 33, and was buried in Uniting Church Cemetery, Sassafras, Tasmania. Jill married someone on 24 Nov 1990 in Latrobe, Tasmania, Australia. 8-Gordon Oscar Dennis was born on 24 Nov 1895 in Emu Bay, now Burnie, Tasmania, died on 3 Dec 1961 in Burnie, Tasmania, Australia at age 66, and was buried on 6 Dec 1961 in Penguin, Tasmania, Australia. He served in the First World War. 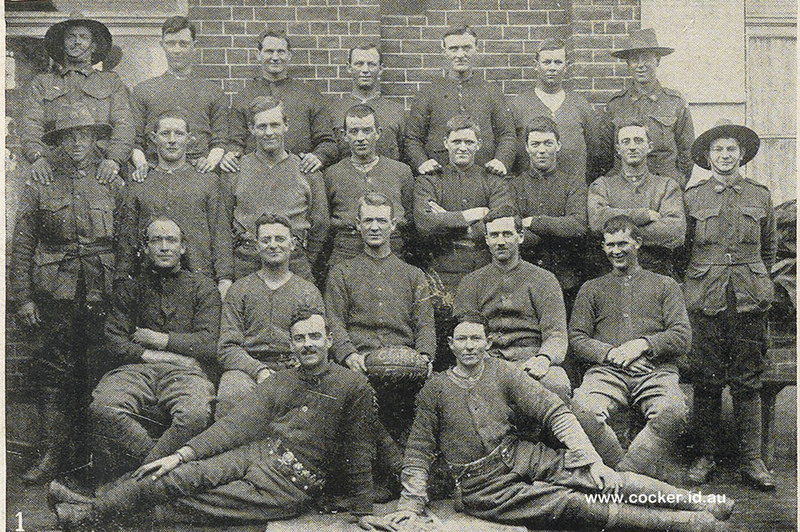 Weekly Courier 23 Aug 1917: “C” Company, Tasmania Battalion Football Team who were runners-up for premiers in France. Gordon is third from left, back row. Gordon married Gladys Manson on 2 Jun 1930 in Latrobe, Tasmania, Australia. Gladys was born on 28 Sep 1905 in North Motton, Tasmania, Australia, died on 4 Mar 1981 in Forth, Tasmania at age 75, and was buried on 6 Mar 1981 in Penguin, Tasmania, Australia. 8-Cathleen Sarah Lillian Dennis was born in 1898 in Tasmania. 8-Arthur Baden Cyril Dennis was born on 29 Apr 1901 in Perth. Arthur married someone on 10 Aug 1921 in Penguin, Tasmania, Australia. 8-Amy Ireleen Dennis was born on 2 May 1903 in Perth. 8-Alice Charlotte Dennis was born on 22 Jan 1906 in Perth, Tasmania. Alice married Aubrey Francis Harris, son of Frank Harris and Ettie Stevens. Aubrey was born on 6 Oct 1893 in Derby, Tasmania and died on 15 Oct 1981 in Launceston, Tasmania at age 88. They had a daughter: Patricia. 9-Patricia Harris was born on 22 Aug 1939 in Launceston, Tasmania and died on 2 Mar 2002 in Launceston, Tasmania at age 62. Patricia married Peter William Talbot. Peter was born on 15 Sep 1933 in Launceston, Tasmania and died on 17 Jun 1996 in Launceston, Tasmania at age 62. They had a daughter: Elizabeth Jane. 7-Martha Melinda Dennis was born on 21 Dec 1865 in Longford, Tasmania and died on 30 Dec 1946 at age 81. Martha married George Symons, son of John Symons and Mary Jane Milford, on 25 Dec 1888 in Launceston. George was born in 1863 in Liskeard, Cornwall, England and died on 13 Jan 1941 in Perth at age 78. They had eight children: George Milford, Melinda Jane, Winifred, Matilda Sophia, Jessie, William John, Victor James and Lillias Martha. 7-Richard Henry Dennis was born on 16 Sep 1868 in Longford, Tasmania, died on 14 Feb 1939 in Longford, Tasmania at age 70, and was buried in Perth. Richard married Elizabeth Currie on 23 Mar 1894 in Launceston. Elizabeth was born in 1868, died on 23 Jul 1956 at age 88, and was buried in Perth. They had six children: Evelyn Sybil, Lanceford Harry, Rupert Walter, Oswald Norman, Elma Della and Stanley Lawrence. 8-Evelyn Sybil Dennis was born on 30 Jan 1894 in Longford, Tasmania, died on 27 Feb 1990 at age 96, and was buried on 1 Mar 1990 in Carr Villa Cemetery, Launceston, Tasmania. Evelyn married Edwin Chick on 24 Jul 1918 in Longford, Tasmania. Edwin was born on 19 Dec 1888 in Launceston, Tasmania, died on 19 Jul 1969 at age 80, and was buried on 21 Jul 1969 in Carr Villa Cemetery, Launceston, Tasmania. 8-Lanceford Harry Dennis was born on 6 Dec 1896 in Longford, Tasmania, died on 15 Nov 1971 in Longford, Tasmania at age 74, and was buried in Longford, Tasmania. Lanceford married Lavinia May Bird on 9 Jun 1919 in Longford, Tasmania. Lavinia was born on 9 Jun 1899 in Longford, Tasmania, died on 11 Jan 1975 in Launceston, Tasmania at age 75, and was buried in Longford, Tasmania. 8-Rupert Walter Dennis was born on 25 Sep 1898 in Longford, Tasmania. 8-Oswald Norman Dennis was born on 27 Dec 1900 in Perth, died on 9 Mar 1988 at age 87, and was cremated on 11 Mar 1988 in Carr Villa Cemetery, Launceston, Tasmania. Oswald married Eva Ann Hayes on 29 Apr 1926 in Penguin, Tasmania, Australia. Eva was born in 1884, died on 11 Dec 1976 at age 92, and was cremated on 14 Dec 1976 in Carr Villa Cemetery, Launceston, Tasmania. 8-Elma Della Dennis was born on 14 Jul 1904 in Perth, died on 5 Aug 1932 at age 28, and was buried in Perth General Cemetery, Perth, Tasmania, Australia. She never married and had no children. 8-Stanley Lawrence Dennis was born on 20 Dec 1906 in Perth, died on 12 Aug 1998 at age 91, and was cremated on 18 Aug 1998 in Carr Villa Cemetery, Launceston, Tasmania. Stanley married Gladys Mabel Knee on 11 Mar 1925 in Perth. Gladys was born in 1908, died on 6 May 1978 at age 70, and was cremated on 8 May 1978 in Carr Villa Cemetery, Launceston, Tasmania. 7-Joseph Dennis was born on 19 Apr 1870 in Longford, Tasmania. 7-Eliza Amelia Dennis was born on 12 May 1872 in Longford, Tasmania and died in 1954 in Fitzroy, Victoria at age 82. Eliza married Thomas Joseph Connelly on 29 Apr 1893 in Launceston. Thomas was born on 8 Nov 1868 in Carlton, Melbourne, Victoria and died in 1940 in Fitzroy, Victoria at age 72. They had three children: Bernard Vincent, Joseph Francis and Teresa May. 8-Bernard Vincent Connell was born in 1898 and died in 1984 in Tullamarine, Victoria, Australia at age 86. 8-Joseph Francis Connelly was born on 28 Feb 1900 in Fitzroy, Victoria and died on 2 Dec 1986 in Heidelberg, Victoria at age 86. Joseph married Myrtle Lorna Frank on 19 Nov 1923 in Preston, Victoria, Australia. Myrtle was born on 2 Mar 1900 in Melbourne, Victoria and died on 9 Jun 1978 in Regent, Victoria, Australia at age 78. 8-Teresa May Connell was born in 1902 in Carlton North, Victoria, Australia. 7-David Dennis was born on 18 May 1874 in Longford, Tasmania, died on 15 Oct 1927 at age 53, and was buried in Perth. David married Minnie Wilhelmina Moody on 27 Dec 1899 in Longford, Tasmania. Minnie was born in 1871 in Hobart, Tasmania and died on 19 Oct 1937 in Launceston at age 66. They had one son: Launcey. 8-Launcey Dennis was born on 7 May 1902 in Perth, died on 1 Jan 1971 at age 68, and was buried on 6 Jan 1971 in Carr Villa Cemetery, Launceston, Tasmania. 6-Isaac Dennis was born in 1832 in Eriswell, Suffolk, England. Isaac married Hannah Jolly. Hannah was born in 1842 in Barrow, Suffolk, England. They had three children: James, Hannah and William. 7-James Dennis was born in 1868 in Fulham, London, Middlesex, England. 7-Hannah Dennis was born in 1876 in Lancashire, England. 7-William Dennis was born in 1878 in Cumberland, England. 6-James Dennis was born in 1835 in Eriswell, Suffolk, England. James married Sarah Turner in 1856 in Mildenhall, Suffolk, England. Sarah was born in 1834 in Eriswell, Suffolk, England. They had six children: William J, Isaac, George, Fanny, Eliza and Samuel T.
7-William J Dennis was born in 1859 in Eriswell, Suffolk, England. William married Ellen Dennis. Ellen was born in 1862. They had four children: Beatris E, Ernest W, Sidney J and Ethel M.
8-Beatris E Dennis was born in 1887 in Eriswell, Suffolk, England. 8-Ernest W Dennis was born in 1890 in Eriswell, Suffolk, England. 8-Sidney J Dennis was born in 1894 in Eriswell, Suffolk, England. 8-Ethel M Dennis was born in 1895 in Eriswell, Suffolk, England. 7-Isaac Dennis was born in 1863 in Eriswell, Suffolk, England. Isaac married Ellen Alderton. Ellen was born in 1863. They had five children: Charles, Susie, Arthur, Gertrude and Olive M.
8-Charles Dennis was born in 1885 in Eriswell, Suffolk, England. 8-Susie Dennis was born in 1888 in Eriswell, Suffolk, England. 8-Arthur Dennis was born in 1891 in Eriswell, Suffolk, England. 8-Gertrude Dennis was born in 1894 in Eriswell, Suffolk, England. 8-Olive M Dennis was born in 1898 in Eriswell, Suffolk, England. 7-George Dennis was born in 1868 in Eriswell, Suffolk, England. 7-Fanny Dennis was born in 1870 in Eriswell, Suffolk, England. 7-Eliza Dennis was born in 1872 in Eriswell, Suffolk, England. 7-Samuel T Dennis was born in 1875 in Culford, England. 6-George Dennis was born in 1838 in Eriswell, Suffolk, England. 6-Eliza Dennis was born in 1841 in Eriswell, Suffolk, England. Eliza married Edward Langham. Edward was born in 1848 in Eriswell, Suffolk, England and died in West Ham, Walthamstow, Essex, England. 6-Sarah Dennis was born in 1842 in Eriswell, Suffolk, England. 6-Henry Dennis was born in 1843 in Eriswell, Suffolk, England. Henry married Mary Ann Warren in 1860 in Mildenhall, Suffolk, England. Mary was born in 1843. They had three children: Mary Ann, Emma and William. 7-Mary Ann Dennis was born in 1861 in Suffolk, England. 7-Emma Dennis was born in 1863 in Suffolk, England. 7-William Dennis was born in 1866 in London, England. 6-John Dennis was born in 1845 in Eriswell, Suffolk, England. John married Elizabeth Key in 1873 in Mildenhall, Suffolk, England. Elizabeth was born in 1850 in West Row, Mildenhall, Suffolk, England and died in 1936 in Eriswell, Suffolk, England at age 86. They had eight children: Rosina, Lizzie, Susan, Mary Ellen, George, Fred, James Robert and Georgina. 7-Rosina Dennis was born in 1875 in Eriswell, Suffolk, England. Rosina married William John Cross in 1899. William was born in 1875 in Eriswell, Suffolk, England. They had two children: Ella Agnes and Violet May. 8-Ella Agnes Cross was born in 1901 in Holt, Worcestershire, England. 8-Violet May Cross was born in 1901 in Holt, Worcestershire, England. 7-Lizzie Dennis was born in 1877 in Eriswell, Suffolk, England. Lizzie married Henry Mason in 1900 in Mildenhall, Suffolk, England. Henry was born in 1875 in Tuddenham, Suffolk, England. They had one son: Charles. 8-Charles Mason was born in 1908. 7-Susan Dennis was born in 1879 in Eriswell, Suffolk, England. Susan married Ernest Frederick Cutter in 1907 in Mildenhall, Suffolk, England. Ernest was born in 1881 in Bury St Edmund's, Suffolk, England. 7-Mary Ellen Dennis was born in 1882 in Eriswell, Suffolk, England. Mary married William Pope in 1912 in Mildenhall, Suffolk, England. William was born in 1887 in Pakenham, England. 7-George Dennis was born in 1883 in Eriswell, Suffolk, England. George married Martha A Benstead in 1918 in Mildenhall, Suffolk, England. Martha was born about 1891. 7-Fred Dennis was born in 1884 in Eriswell, Suffolk, England. 7-James Robert Dennis was born in 1885 in West Row, Mildenhall, Suffolk, England and died in 1937 in West Row, Mildenhall, Suffolk, England at age 52. James married Esther Turner in 1914 in Mildenhall, Suffolk, England. Esther was born in 1891 in Elveden, Suffolk, England and died in 1926 in West Row, Mildenhall, Suffolk, England at age 35. They had one daughter: Evelyn. 8-Evelyn Dennis was born in 1916 and died in 2006 in Icklingham, Suffolk, England at age 90. Evelyn married Ralph Partridge, son of Unknown and Unknown. Ralph was born in 1916 and died in 1998 at age 82. 7-Georgina Dennis was born in 1888 in Eriswell, Suffolk, England. 6-Sarah Dennis was born in 1848 in Eriswell, Suffolk, England. Sarah married Isaac Cox in 1864 in Mildenhall, Suffolk, England. Isaac was born in 1842 in Mildenhall, Suffolk, England. 6-Robert Dennis was born in 1850 in Eriswell, Suffolk, England. Robert married Mary Ann Harrison in 1872 in Mildenhall, Suffolk, England. Mary was born in 1851 in Burnham, Norfolk, England. They had nine children: Gertrude Sarah, Arthur J, E Mary, William E, George, Robert, Walter, Mary Ann and Anna E.
7-Gertrude Sarah Dennis was born in 1873 in Eriswell, Suffolk, England. Gertrude married William Jordan in 1895 in Thingoe, Suffolk, England. William was born in 1872 in Campsea Ash, England. 7-Arthur J Dennis was born in 1876 in Eriswell, Suffolk, England. 7-E Mary Dennis was born in 1878 in Tuddenham, Suffolk, England. 7-William E Dennis was born in 1880 in Herrinswell, Suffolk, England. 7-George Dennis was born in 1883 in Borough Green, Suffolk, England. 7-Robert Dennis was born in 1885 in Timworth, Suffolk, England. 7-Walter Dennis was born in 1887 in Timworth, Suffolk, England. 7-Mary Ann Dennis was born in 1893 in Timworth, Suffolk, England. 7-Anna E Dennis was born in 1893 in Timworth, Suffolk, England. 6-Richard Dennis was born in 1854 in Eriswell, Suffolk, England and died in 1868 in Mildenhall, Suffolk, England at age 14. 6-Emma Dennis was born in 1859 in Eriswell, Suffolk, England. 6-James Dennis was born in 1859 in Eriswell, Suffolk, England. 6-Elizabeth Dennis was born in 1861. Elizabeth married Albert Petch in 1882 in Thetford, Cambridgeshire, England. Albert was born in 1848 in Thetford, Cambridgeshire, England. 5-Jemima Dennis was born in 1809 in Eriswell, Suffolk, England, was christened on 15 Oct 1809 in Eriswell, Suffolk, England, and died in 1874 in Blofield, Norfolk, England at age 65. Jemima married William Olby on 12 Jan 1830 in Eriswell, Suffolk, England. William was born about 1803 in Brandon, Suffolk, England. 5-James Dennis was born on 6 Oct 1811 in Eriswell, Suffolk, England, was christened on 3 Nov 1811 in Eriswell, Suffolk, England, died on 7 Dec 1888 in Longford, Tasmania at age 77. James married Frances Spinks on 18 Nov 1832 in Eriswell, Suffolk, England. Frances was born in 1808 in Hilborough, Norfolk, England, died on 17 Jun 1868 in Longford, Tasmania at age 60, and was buried in Methodist, Longford, Tasmania, Australia. . They emigrated to Tasmania with their 5 children on the Trade Wind in 1858. They had six children: Charles, Eliza, Thomas, Maria, Alfred Benjamin and Benjamin Alfred. 6-Charles Dennis was born in 1836 in Eriswell, Suffolk, England and died on 7 Jan 1910 in Perth at age 74. Charles married Elizabeth Tyler on 12 Oct 1859 in Perth. Elizabeth was born in 1836 in Suffolk, England, died on 22 Feb 1881 in Longford, Tasmania at age 45, and was buried in Perth General Cemetery, Perth, Tasmania, Australia. They had ten children: Eliza Ann, James, James, Elizabeth, George, Charles, Thomas William, Mary, Ellen and Arthur Walter. 7-Eliza Ann Dennis was born on 29 Aug 1860 in Campbell Town, Tasmania, died on 10 Dec 1946 in Perth at age 86, and was buried in Perth. Eliza married Robert Peachey on 14 Aug 1884 in Longford, Tasmania. Robert was born on 2 Feb 1860 in Longford, Tasmania, died on 16 Nov 1946 in Perth at age 86, and was buried in Perth. They had four children: Elizabeth Jane, Albert William, Charles Robert and Walter Norman. 8-Elizabeth Jane Peachey was born on 29 Jun 1885 in Longford, Tasmania, died on 28 Jan 1957 in Longford, Tasmania at age 71, and was buried in Longford, Tasmania. Elizabeth married Charles Edwin Boon on 10 Aug 1910 in Perth. Charles was born on 28 Jul 1886 in Bracknell, Tasmania and died on 13 Dec 1942 in Launceston, Tasmania at age 56. They had six children: Ronald Charles Arthur, Allan Robert, Eric Albert, Louis Edwin, Linda Annie and Edith Jane. 9-Ronald Charles Arthur Boon was born on 12 Sep 1911 in Perth, died on 14 Mar 1970 at age 58, and was buried on 17 Mar 1970 in Launceston, Tasmania. Ronald married Florence Adeline Davis on 20 Aug 1938 in Launceston, Tasmania. Florence was born on 10 Oct 1911, died on 7 Jan 1980 at age 68, and was buried on 9 Jan 1980 in Launceston, Tasmania. 9-Allan Robert Boon was born on 4 Dec 1913 in Perth, died on 23 Oct 1986 at age 72, and was buried on 27 Oct 1986 in Longford, Tasmania. Allan married Nellie Edith Shepherd. Nellie was born on 16 Feb 1922, died in Jun 2004 at age 82, and was buried on 23 Jun 2004 in Longford, Tasmania. They had one son: Timothy Charles. 10-Timothy Charles Boon was born on 3 Apr 1954 in Launceston, Tasmania, died on 1 Jan 1998 in Longford, Tasmania at age 43, and was buried on 5 Jan 1998 in Longford, Tasmania. 9-Eric Albert Boon was born on 8 Jun 1915 in Longford, Tasmania, died on 6 Sep 1971 at age 56, and was buried in Mersey Vale Memorial Park Lawn Cemetery, Tasmania, Australia. Eric married Agnes Amelia (Millie) Baulch. Agnes was born on 29 Sep 1911 in Forth, Tasmania, died on 16 Feb 1986 at age 74, and was buried in Devonport, Tasmania. 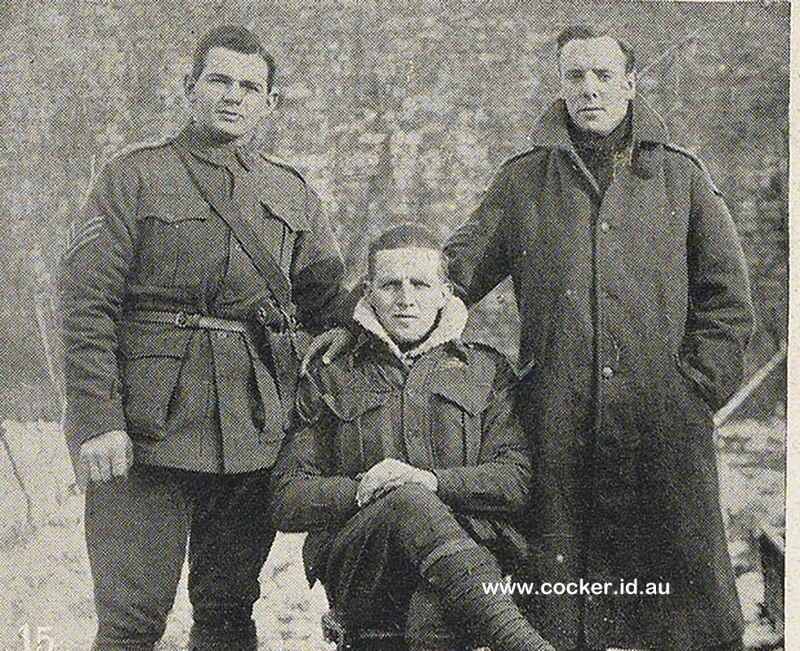 9-Louis Edwin Boon was born on 12 Dec 1916 in Longford, Tasmania and died on 25 Aug 1969 at age 52. Louis married Merle Clara Merton Swan on 4 Jun 1938 in Longford, Tasmania. Merle was born on 9 Oct 1918 in Launceston, Tasmania and died in 1979 in Melbourne, Victoria at age 61. 9-Linda Annie Boon was born on 15 Mar 1919 in Longford, Tasmania, died on 18 Mar 1980 at age 61, and was buried in Longford, Tasmania. Linda married George James Gibbons. George was born in 1920 and died on 31 May 1975 at age 55. They had one son: Anthony John. 10-Anthony John Gibbons was born on 3 Jan 1940 and died on 9 Oct 2008 at age 68. 9-Edith Jane Boon was born on 5 Jan 1924, died on 26 Jan 1955 in Longford, Tasmania at age 31, and was buried in Longford, Tasmania. Edith married someone on 16 Mar 1940 in Longford, Tasmania. 8-Albert William Peachey was born on 3 Apr 1888 in Longford, Tasmania, died on 13 Aug 1920 at age 32, and was buried in Perth. Albert married Emma Ann Hawkins on 23 Jun 1915 in West Devonport, Tasmania. They had one son: Roy Albert. 9-Roy Albert Peachey was born on 26 Aug 1917 in East Devonport, Tasmania. 8-Charles Robert Peachey was born on 16 Mar 1892 in Longford, Tasmania and died on 22 May 1974 in Perth at age 82. Charles married Ivy Blanche Judd on 4 Dec 1912 in Perth. Ivy was born in 1894, died on 15 Dec 1954 in Launceston, Tasmania at age 60, and was buried on 17 Dec 1954 in Perth. They had three children: Cyril Charles, George Robert and Leonard Gordon. 9-Cyril Charles Peachey was born on 18 Feb 1913 in Perth, died on 24 Sep 1987 at age 74, and was buried in Perth. 9-George Robert Peachey was born on 25 Apr 1914 in Perth, died on 5 Jul 1982 in Perth at age 68, and was buried in Perth. 9-Leonard Gordon Peachey was born in 1922, died on 8 Dec 1943 at age 21, and was buried in Kanchanaburi, Thailand. 8-Walter Norman Peachey was born on 17 Aug 1896 in Longford, Tasmania, died on 20 Jun 1952 at age 55, and was buried in Perth. 7-James Dennis was born on 5 Mar 1862 in Morven, Tasmania, Australia and died before Nov 1863 in Tasmania. 7-James Dennis was born on 9 Nov 1863 in Longford, Tasmania and died in 1899 in Launceston, Tasmania at age 36. James married Isabel Clarke on 13 Jan 1893 in Tasmania. Isabel was born on 16 Oct 1870 in Tasmania and died in 1937 in Victoria at age 67. They had five children: Albert, Elbert James, Ethel Florence Isabel, Charles Harold and Leslie George. 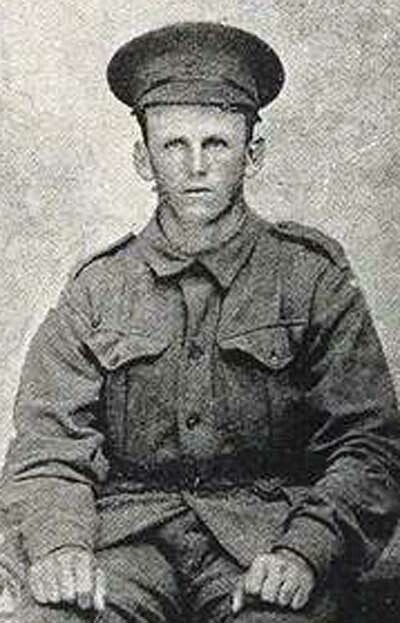 8-Albert Dennis was born on 30 Mar 1893 in Ulverstone, Tasmania and died on 14 May 1893 in Ulverstone, Tasmania. 8-Elbert James Dennis was born on 4 Jul 1894 in Hoblers Bridge, Launceston, Tasmania and died in 1966 in Victoria at age 72. 8-Ethel Florence Isabel Dennis was born on 28 Jul 1896 in Hagley, Tasmania and died on 11 Jul 1960 in Melbourne, Victoria at age 63. Ethel married Charles Robert Bushby on 5 Feb 1915 in Launceston, Tasmania. Charles was born on 24 Jun 1892 in Tasmania, died on 17 Apr 1974 in Moe, Victoria, Australia at age 81, and was buried in Yallourn, Victoria, Australia. They had five children: Essie Martha Isabel, Elbert Charles James, Arthur Lewis, Harold George and Girl. 9-Arthur Lewis Bushby was born on 23 Oct 1921 in Victoria and died on 25 Feb 1996 in Victoria at age 74. 9-Girl Bushby was born in 1933 in Victoria and died in 1933 in Victoria. 8-Charles Harold Dennis was born on 21 Jan 1898 in Hagley, Tasmania and died in 1969 in Victoria at age 71. 8-Leslie George Dennis was born on 2 Mar 1899 in Hagley, Tasmania and died on 27 May 1899 in Westbury, Tasmania. 7-Elizabeth Dennis was born on 16 Feb 1866 in Morven, Tasmania, Australia, died on 23 Jan 1933 in Perth at age 66, and was buried on 25 Jan 1933 in Carr Villa Cemetery, Launceston, Tasmania. Elizabeth married Arthur Saunders Rundle on 7 Nov 1894 in Perth. Arthur was born on 8 Feb 1868 in Launceston, Tasmania, died on 6 Oct 1937 at age 69, and was buried on 7 Oct 1937 in Carr Villa Cemetery, Launceston, Tasmania. They had four children: Arthur Charles Dennis, Elvie Irene, Vera Mary and Harold Saunders. 8-Arthur Charles Dennis Rundle was born on 15 Apr 1896 in Launceston, Tasmania, died on 15 Oct 1972 at age 76, and was buried on 17 Oct 1972 in Carr Villa Cemetery, Launceston, Tasmania. Arthur married Ruby Violet Martin. Ruby was born on 25 Mar 1893 in Launceston, Tasmania, died on 16 Oct 1969 at age 76, and was buried on 20 Oct 1969 in Carr Villa Cemetery, Launceston, Tasmania. They had one son: Geoffrey Charles. 9-Geoffrey Charles Rundle J. P. O.St .J. was born on 12 Sep 1926 in Launceston, Tasmania, died on 25 Mar 2002 in Hadspen, Tasmania at age 75, and was buried on 3 Apr 2002 in Launceston, Tasmania. Geoffrey married someone on 14 Jun 1958. 8-Elvie Irene Rundle was born on 18 Sep 1898 in Launceston, Tasmania, died on 2 Jan 1935 at age 36, and was buried on 3 Jan 1935 in Carr Villa Cemetery, Launceston, Tasmania. 8-Vera Mary Rundle was born on 27 Feb 1900 in Launceston, Tasmania and died on 19 May 1982 in Launceston, Tasmania at age 82. 8-Harold Saunders Rundle was born on 3 Feb 1902 in Launceston, Tasmania and died on 15 Dec 1977 in Bellerive, Tasmania at age 75. Harold married Bernice Holland on 2 Dec 1933. Bernice was born in 1904 and died on 1 Aug 1980 in St Leonard's, Tasmania, Australia at age 76. They had one son: Peter James. 9-Peter James Rundle was born on 27 Nov 1935 and died on 3 Feb 1957 in Cloncurry, Queensland, Australia at age 21. 7-George Dennis was born on 3 Jul 1867 in Morven, Tasmania, Australia, died on 20 Sep 1951 in Perth at age 84, and was buried in Perth. George married Adah Stoward, daughter of George Stoward and convict ↑Mary Evans, on 31 Aug 1892 in Longford, Tasmania. Adah was born on 16 May 1871 in Longford, Tasmania, died on 27 May 1951 at age 80, and was buried in Perth General Cemetery, Perth, Tasmania, Australia. Other names for Adah were Adah Edith Stoward and Edith Marian Stowards. They had eight children: Archibald George, Horace Rowland, Henry Malcolm, Frank Gordon, Edith Marion, Doris Lilian, Bessie Eileen and Lloyd Vernon. 8-Archibald George Dennis† was born on 1 Sep 1893 in Longford, Tasmania. He served in the First World War and died and died of meningitis on 25 Jun 1918 in Hobart, Tasmania at age 24, and was buried in Cornelian Bay, Hobart, Tasmania. 8-Horace Rowland Dennis† was born on 27 Jul 1895 in Longford, Tasmania, died in the First World War on 26 Apr 1918 at age 22, and was buried in Villiers-Bretonneux, Somme, France. Company Sergeant Major Horace Dennis of the 52nd Australian Infantry Battalion was awarded the Distinguished Conduct Medal in February 1918 for gallantry, disregard of personal safety and devotion to duty inspiring and cheering all ranks in his vicinity..
8-Henry Malcolm Dennis was born on 6 Dec 1897 in Longford, Tasmania, died on 2 Oct 1983 in Longford, Tasmania at age 85, and was cremated on 5 Oct 1983 in Carr Villa Cemetery, Launceston, Tasmania. Henry married Ruby Edna Rawnsley on 12 Apr 1922 in Perth. Ruby was born in 1901, died on 1 Feb 1982 at age 81, and was cremated on 3 Feb 1982 in Carr Villa Cemetery, Launceston, Tasmania. They had two children: Brian Raymond and Ross Stewart. 9-Brian Raymond Dennis was born on 27 May 1920, died on 14 Sep 1980 at age 60, and was cremated on 16 Sep 1980 in Carr Villa Cemetery, Launceston, Tasmania. Brian married Peggy Jean Hughes. Peggy died on 15 Nov 1986 and was buried in Perth. 9-Ross Stewart Dennis was born on 30 May 1926, died on 2 May 2006 at age 79, and was buried in Longford, Tasmania. 8-Frank Gordon Dennis was born on 29 Dec 1900 in Perth, died on 2 Oct 1953 in Launceston, Tasmania at age 52, and was cremated on 3 Oct 1953 in Carr Villa Cemetery, Launceston, Tasmania. Frank married Maud Ellen Sturgess on 30 Apr 1924 in Perth. Maud was born in 1901, died on 1 Jun 1982 at age 81, and was cremated on 3 Jun 1982 in Carr Villa Cemetery, Launceston, Tasmania. They had one son: Trevor Gordon. 9-Trevor Gordon Dennis was born on 26 Oct 1924 in Longford, Tasmania, died on 6 Sep 1985 in Launceston, Tasmania at age 60, and was buried on 10 Sep 1985 in Carr Villa Cemetery, Launceston, Tasmania. Trevor married someone on 16 Aug 1947. 8-Edith Marion Dennis was born on 8 Dec 1902 in Perth. Edith married Achalen Albury. Achalen was born in 1900 and died in 1971 at age 71. Another name for Achalen was Achalen Aubrey. 8-Doris Lilian Dennis was born on 16 Aug 1905 in Perth, died on 25 Dec 1984 at age 79, and was cremated on 27 Dec 1984 in Carr Villa Cemetery, Launceston, Tasmania. Doris married James Jacobs. James was born in 1903 and died in 1987 in Evandale, Tasmania at age 84. 8-Bessie Eileen Dennis was born on 15 Nov 1909 in Perth. Bessie married John Moffit Wilson. John was born on 20 Oct 1906, died on 3 Oct 1942 at age 35, and was buried in El Alamein, Egypt. 8-Lloyd Vernon Dennis was born on 3 Aug 1913 in Perth. 7-Charles Dennis was born in 1868 in Tasmania and died on 19 Aug 1950 in Tasmania at age 82. 7-Thomas William Dennis was born on 6 Apr 1869 in Longford, Tasmania. Thomas married Maud Sarah Robinson. They had nine children: Early Darcy Gordon, Sylvia Annie, Florence Helen, Olive Maud, Daphen Elizabeth, Mary Mildred, Thomas Edward, Lilith May and Mildred Jean. 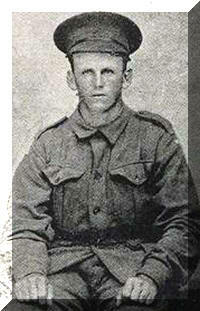 8-Early Darcy Gordon Dennis was born on 16 Oct 1898 in Stanley, Tasmania, Australia, died in Aug 1918 in France at age 19, and was buried in Harbonnieres, France. 8-Sylvia Annie Dennis was born on 29 Apr 1900 in Forest, Circular Head, Tasmania. Sylvia married someone on 7 Jun 1919 in Launceston, Tasmania. 8-Florence Helen Dennis was born on 25 Oct 1901 in Forest, Circular Head, Tasmania. 8-Olive Maud Dennis was born on 28 Oct 1903 in Forest, Circular Head, Tasmania. 8-Daphne Elizabeth Dennis was born on 15 Jan 1906 in Forest, Circular Head, Tasmania and died on 14 Jul 1908 in Forest, Circular Head, Tasmania at age 2. 8-Mary Mildred Dennis was born on 20 Apr 1907 in Forest, Circular Head, Tasmania. 8-Thomas Edward Dennis was born on 9 Nov 1909 in Forest, Circular Head, Tasmania. 8-Lilith May Dennis was born on 9 Apr 1911 in Forest, Circular Head, Tasmania. 8-Mildred Jean Dennis was born on 20 Jul 1913 in Latrobe, Tasmania, Australia. 7-Mary Dennis was born on 6 Nov 1871 in Longford, Tasmania and died on 15 Nov 1871 in Longford, Tasmania. 7-Ellen Dennis was born on 18 Jan 1873 in Longford, Tasmania, died on 1 Apr 1948 in Launceston, Tasmania at age 75, and was buried on 2 Apr 1948 in Carr Villa Cemetery, Launceston, Tasmania. Ellen married Robert John McAuley on 7 Mar 1894 in Launceston, Tasmania. Robert was born in 1866, died on 14 Jul 1934 at age 68, and was buried on 16 Jul 1934 in Carr Villa Cemetery, Launceston, Tasmania. They had eight children: Myrtle Gladys, Lanoma Victoria Jubi, Doris Ruby, Robert John, Clarence Leo, Athol Desmond, Eunice Wilhelmina and Marjorie Ellen. 8-Myrtle Gladys McAuley was born on 19 Jun 1894 in Longford, Tasmania, died on 30 Nov 1985 at age 91, and was buried on 3 Dec 1985 in Carr Villa Cemetery, Launceston, Tasmania. Other names for Myrtle were Gladys Myrtle McAuley and Mona Gladys Myrtle McAuley. Myrtle married Clarence Ernest Hardman. Clarence was born in 1884, died on 26 Jan 1961 at age 77, and was buried on 31 Jan 1961 in Carr Villa Cemetery, Launceston, Tasmania. They had one son: Ronald Clarence. 9-Ronald Clarence Hardman was born on 25 Jul 1916 in Launceston, Tasmania, died on 23 Sep 1999 at age 83, and was buried on 27 Sep 1999 in Carr Villa Cemetery, Launceston, Tasmania. Another name for Ronald was Ronaland Clarence Hardman. Ronald married Olive Ellen. Olive was born in 1908, died on 30 Oct 2000 at age 92, and was buried on 1 Nov 2000 in Carr Villa Cemetery, Launceston, Tasmania. 8-Lanoma Victoria Jubi McAuley was born on 14 Jun 1897 in Launceston, Tasmania, died on 30 Aug 1954 at age 57, and was buried on 1 Sep 1954 in Carr Villa Cemetery, Launceston, Tasmania. Lanoma married Samuel Henry Hardman on 24 Nov 1914 in Launceston, Tasmania. Samuel was born in 1888, died on 26 Feb 1964 at age 76, and was buried on 28 Feb 1964 in Carr Villa Cemetery, Launceston, Tasmania. They had three children: George Henry, Colin Arthur and Lanoma Eileen. 9-George Henry Hardman was born on 29 Apr 1915 in Launceston, Tasmania, died on 30 Jul 1998 at age 83, and was cremated on 3 Aug 1998 in Carr Villa Cemetery, Launceston, Tasmania. 9-Colin Arthur Hardman was born on 22 Jul 1917 in Launceston, Tasmania, died on 16 Jul 1990 at age 72, and was buried on 18 Jul 1990 in Carr Villa Cemetery, Launceston, Tasmania. 9-Lanoma Eileen Hardman was born on 11 Apr 1919 in Launceston, Tasmania. 8-Doris Ruby McAuley was born in 1900, died on 21 Feb 1992 at age 92, and was buried on 25 Feb 1992 in Carr Villa Cemetery, Launceston, Tasmania. Doris married Thomas Henry Atkins on 23 Dec 1921 in Launceston, Tasmania. Thomas was born in 1897, died on 19 Aug 1953 at age 56, and was buried on 21 Aug 1953 in Carr Villa Cemetery, Launceston, Tasmania. 8-Robert John McAuley was born on 6 Feb 1902 in Launceston, Tasmania. 8-Clarence Leo McAuley was born on 14 Jun 1903 in Launceston, Tasmania, died on 8 Jul 1992 at age 89, and was buried on 13 Jul 1992 in Carr Villa Cemetery, Launceston, Tasmania. Another name for Clarence was Leo Clarence McAuley. 8-Athol Desmond McAuley was born on 20 Dec 1905 in Launceston, Tasmania, died on 11 Jul 1959 at age 53, and was buried on 13 Jul 1959 in Carr Villa Cemetery, Launceston, Tasmania. 8-Eunice Wilhelmina McAuley was born on 14 Sep 1912 in Launceston, Tasmania. 8-Marjorie Ellen McAuley was born on 24 Apr 1915 in Launceston, Tasmania. 7-Arthur Walter Dennis was born on 27 Jan 1877 in Longford, Tasmania and died on 5 Mar 1925 in Glenorchy, Tasmania at age 48. Arthur married Florae Alberta Hallam on 30 Apr 1908 in Glenorchy, Tasmania. They had three children: Ronald Arthur, Clement Charles and Ita Flo. 8-Ronald Arthur Dennis was born on 10 Feb 1909 in Queen Alexandra Hospital, Battery Point, Tasmania and died on 3 Aug 1987 at age 78. Ronald married Elsie Caroline Cocker, daughter of Alfred Ernest Cocker and Eliza Caroline Barker, on 17 Apr 1950. Elsie was born on 30 Nov 1915 in Wellington, New Zealand, was christened on 30 Nov 1916 in Church of England, and died on 10 Sep 2006 in Royal Hobart Hospital at age 90. They had one son: Graeme Ronald. 9-Graeme Ronald Dennis was born on 8 Oct 1956 in Hobart, Tasmania. Graeme married Deb Powell. Deb was born on 5 Oct 1959 in Hobart, Tasmania. They had three children: Claire Elizabeth, Lucy Jayne and Zoe Louise. 10-Claire Elizabeth Dennis was born on 17 May 1986. 10-Lucy Jayne Dennis was born on 13 Nov 1990 and was christened on 2 Feb 1991. 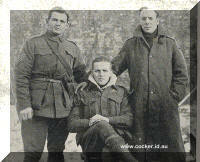 8-Clement Charles Dennis was born on 26 May 1910 in Lindisfarne, Hobart, Tasmania. 8-Ita Flo Dennis was born on 27 Aug 1912 in Kingston, Tasmania, Australia. Charles next married widow Margaret Buchanan Larkin, daughter of John Bane and convict Ann Henderson, on 4 Nov 1894 in Longford, Tasmania. Margaret was born on 29 Jun 1845 and died on 5 Nov 1934 in Perth at age 89. Margaret Bane, known as Buchanan, was admitted to the Queens Orphans School in 1852. She married widowed convict Jesse Larkin on 16 Sep 1964 at Campbell Town and they had about 12 children. He died in 1890. Margaret and Dennis had no children. More information and photos of Margaret may be found here. 6-Eliza Dennis was born on 3 Jun 1838 in Eriswell, Suffolk, England and died after 1901. 6-Thomas Dennis was born in 1840 in Eriswell, Suffolk, England and died in 1920 in New South Wales at age 80. 6-Maria Dennis was born on 22 Jan 1842 in Eriswell, Suffolk, England, died on 27 Jul 1917 in Longford, Tasmania at age 75, and was buried on 30 Jul 1917 in Methodist, Longford, Tasmania, Australia. Maria married Henry Bean on 20 Sep 1861 in Lymington, Tasmania. Henry was born in 1834 in Bardwell, Suffolk, England, was christened on 24 Oct 1934 in Bardwell, Suffolk, England, died on 5 Dec 1903 in Longford, Tasmania at age 69, and was buried on 7 Dec 1903 in Methodist, Longford, Tasmania, Australia. They had nine children: James, Lillias Maria, Alfred Henry, Ellen Eliza "Nellie," Charles Robert, Amy Frances, Edith Rosa, Archibald "Archie" Louis and Albert Thomas. 7-James Bean was born on 22 Jul 1862 in Morven, Tasmania, Australia, died on 2 Jan 1903 in Gormanston, Tasmania at age 40, and was buried on 6 Jan 1903 in Methodist, Longford, Tasmania, Australia. 7-Lillias Maria Bean was born on 26 Dec 1864 in Longford, Tasmania, died on 12 May 1951 in Longford, Tasmania at age 86, and was buried on 14 May 1951 in Christ Church, Longford, Tasmania. 7-Alfred Henry Bean was born on 12 May 1868 in Longford, Tasmania, died on 10 Feb 1888 in Longford, Tasmania at age 19, and was buried on 12 Feb 1888 in Methodist, Longford, Tasmania, Australia. 7-Ellen Eliza "Nellie" Bean was born on 2 Feb 1871 in Longford, Tasmania, died on 10 Jul 1949 in Longford, Tasmania at age 78, and was buried on 12 Jul 1949 in Methodist, Longford, Tasmania, Australia. Ellen married Arthur Alfred Boon on 12 May 1899 in Longford, Tasmania. Arthur was born in 1871, died on 14 Aug 1944 in Longford, Tasmania at age 73, and was buried on 16 Aug 1944 in Christ Church, Longford, Tasmania. 7-Charles Robert Bean was born on 22 Nov 1873 in Longford, Tasmania, died on 3 Nov 1901 in Linda Valley, Tasmania at age 27, and was buried in Methodist, Longford, Tasmania, Australia. 7-Amy Frances Bean was born on 2 Jun 1876 in Longford, Tasmania, died on 2 Nov 1910 in Launceston, Tasmania at age 34, and was buried on 4 Nov 1910 in Carr Villa Cemetery, Launceston, Tasmania. Amy married James Charles Ayres in 1905. James was born in 1882. They had two children: Doris Amy and Archibald Charles. 8-Doris Amy Ayres was born in 1906. 8-Archibald Charles Ayres was born in 1908. 7-Edith Rosa Bean was born on 4 Oct 1878 in Longford, Tasmania, died on 4 May 1947 in Sunshine, Victoria, Australia at age 68, and was buried on 6 May 1947 in Footscray, Victoria. Edith married Robert Ernest Ayton on 5 May 1903 in Longford, Tasmania. Robert was born in 1874 and died in 1972 at age 98. They had seven children: Clifton Eric, Roy Ernest, W A, Reginald Alan, Ralph Henry, Arthur Albert and Jeffrey Archibald. 8-Clifton Eric Ayton was born in 1904 and died in 1942 at age 38. 8-Roy Ernest Ayton was born in 1906 and died in 1906. 8-W A Ayton was born in 1907 and died in 1907. 8-Reginald Alan Ayton was born in 1909 and died in 1959 at age 50. He never married and had no children. 8-Ralph Henry Ayton was born in 1911 and died in 1912 at age 1. 8-Arthur Albert Ayton was born in 1916 and died in 1983 at age 67. 8-Jeffrey Archibald Ayton was born in 1918 and died in 1967 at age 49. 7-Archibald "Archie" Louis Bean was born on 9 Jun 1882 in Longford, Tasmania and died on 22 Jul 1933 in Richmond, Victoria, Australia at age 51. Archibald married Ellen Margaret Biggam in 1919 in Longford, Tasmania. Ellen was born in 1887. 7-Albert Thomas Bean was born on 18 Nov 1885 in Longford, Tasmania, died on 5 Sep 1974 in Toosey, Longford, Tasmania at age 88, and was buried in Christ Church, Longford, Tasmania. Albert married Alice Maud Mary Ferguson on 20 Oct 1923 in Baptist Church Manse, Perth, Tasmania. Alice was born on 10 Jan 1890 in Longford, Tasmania and died on 27 Dec 1963 in Tasmania at age 73. They had four children: Gladys Maud, Molly Winifred, Roderick "Rodney" Hedley and Gwendoline Lillas. 8-Gladys Maud Bean was born in Jun 1927, died on 21 Mar 1929 in Public Hospital, Launceston, Tas Aust at age 1, and was buried in Christ Church, Longford, Tasmania. 8-Molly Winifred Bean was born on 18 Jul 1928, died on 14 Jul 1984 in Tasmania at age 55, and was buried in Jul 1984 in Perth. 8-Roderick "Rodney" Hedley Bean was born on 8 Jan 1931 in Longford, Tasmania and died in 2004 at age 73. 8-Gwendoline Lillas Bean was born on 28 Feb 1934, died on 1 Jan 1967 in Launceston General Hospital, Launceston, Tasmania at age 32, and was buried in Christ Church, Longford, Tasmania. 6-Alfred Benjamin Dennis was born in 1845 in Eriswell, Suffolk, England and died in Sep 1877 in Victoria, Australia at age 32. 6-Benjamin Alfred Dennis was born in 1849 in Eriswell, Suffolk, England and died on 16 Nov 1927 in Victoria at age 78. 5-William Dennis was born in 1815 in Eriswell, Suffolk, England.